The Chicago police department has been mired in controversy after footage was released late last month showing officer Jason Van Dyke shooting 17-year-old Laquan McDonald 16 times. Had Cook County Judge Franklin Valderrama not ordered police to release the video, the footage would still likely not be publicly available. Protests ensued following the outrage, forcing Emanuel to respond by firing police superintendent Garry McCarthy. Calls for Cook County State’s Attorney Anita Alvarez to resign have also been made by numerous local politicians including 10 Chicago City Council members. Alvarez has responded by saying she “will not be bullied” out of her position but allegations of another “cover-up” in the police killing of 25-year-old Ronald Johnson reignited public outrage. Dash-cam footage released in that case showed Johnson running away from cops with his back turned when officer George Hernandez fired two fatal shots. Alvarez declined to prosecute the cop and family and attorneys allege that a gun was planted and rubbed in Johnson’s blood in order to justify the murder. The Chicago police has a long history of documented abuses, but in the wake of the two killings, activist organizations and news outlets have been attempting to get their hands on department misconduct records – much to the chagrin of officers and officials. In 2014, Freedom of Information Act requests made by local journalist Jamie Kalven for records of complaints dating back to 1967 was challenged unsuccessfully by the city after the Illinois Appellate Court ruled they must honor the request. The Chicago Tribune and Chicago Sun-Times latter joined the fight for the files, and city officials agreed to release them. Police unions soon waded into the fray however, and attempted to obstruct the process. In October 2014, the Chicago Fraternal Order of Police sued the city to prevent the release of records more than four years old rationalizing that the exposure would cause “public humiliation and loss of prestige in the employment” of officers. The Chicago Police Benevolent and Protective Association latter filed a similar lawsuit. Illinois Circuit Court Judge Peter Flynn granted the unions an injunction preventing the release of most of the files, and since, the unions have attempted to have hundreds of thousands of pages of evidence, investigative files and computer records destroyed. This finally prompted Flynn to issue an emergency order earlier this month commanding the unions to notify journalists and activists before the trove of evidence is eliminated. 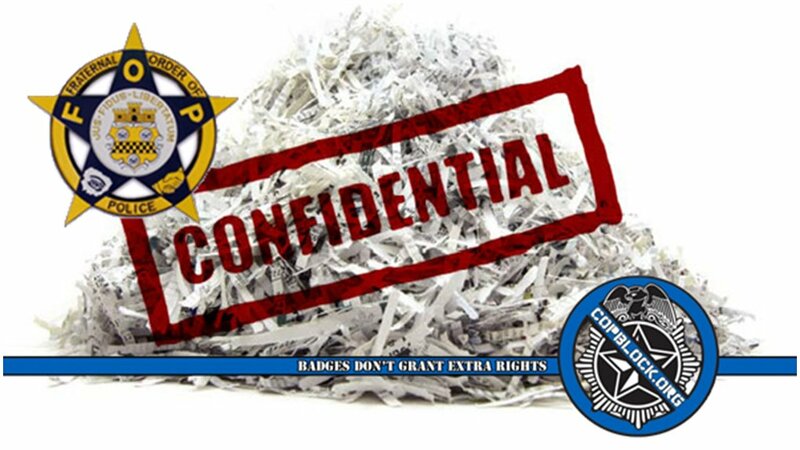 The unions say that the release of the files and documents would violate the city’s contract with its officers that allows them to erase misconduct records, and argue that the contract should allow for the destruction of all records older than four years. Futterman, a University of Chicago Law Professor who also serves on the Illinois Torture Inquiry and Relief Commission, says that the destruction of the records would mean the elimination of a mountain of abuse evidence that includes police torture. The commission is tasked with examining whether those who allege coerced confessions deserve new hearings and is currently reviewing more than 100 pending cases after the city recently acknowledged that officers tortured hundreds of people between 1972 and 1991 under former police commander Jon Burge. The Department of Justice announced last week that it is launching a probe into the department, and pledged to look at the entire scope of police misconduct among Chicago’s finest. “Specifically, we will examine a number of issues related to the Chicago police department’s use of force, use of deadly force, racial and ethnic disparities in its use of force and its accountability mechanisms,” U.S. Attorney General Loretta Lynch said.